Many business-to-business (B2B) managers think that customers act rationally and base decisions mostly on price, customer loyalty isn’t considered. Companies outsource various activities, which enable them to improve efficiency, reduce costs, focus more on core competencies and improve their innovation capabilities. Supply Chain Management synchronizes the efforts of all parties—particularly suppliers, manufacturers, retailers, dealers, customers—involved in achieving customer’s needs. 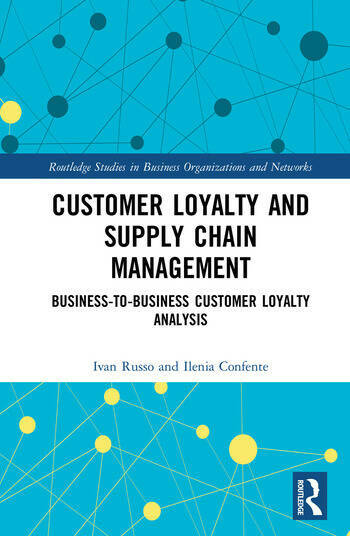 Despite much research, the relationship between customer loyalty and the supply chain strategy remains insufficiently explored and understood by practitioners and academics, while the theme has been extensively developed within marketing literature. Logistics Service Quality and Its Impact on Customer Loyalty. Ivan Russo, Ph.D. is an Associate Professor at University of Verona. His research coalesces under the broad umbrella of supply chain management & marketing. He has published in the Journal of Operations Management, Journal of Business Research, International Journal of Physical Distribution and Logistics Management, International Journal of Production Economics, Journal of Business and Industrial Marketing, International Journal Of Quality And Service Sciences, International Journal Of Entrepreneurship And Small Business. Ilenia Confente, Ph.D. is an Assistant Professor at University of Verona. Her research interests range from B2B to digital marketing. She has published in Journal of Business Research, Journal of Business and Industrial Marketing, International Journal of Tourism Research, International Journal Of Quality And Service Sciences, International Journal Of Entrepreneurship And Small Business.